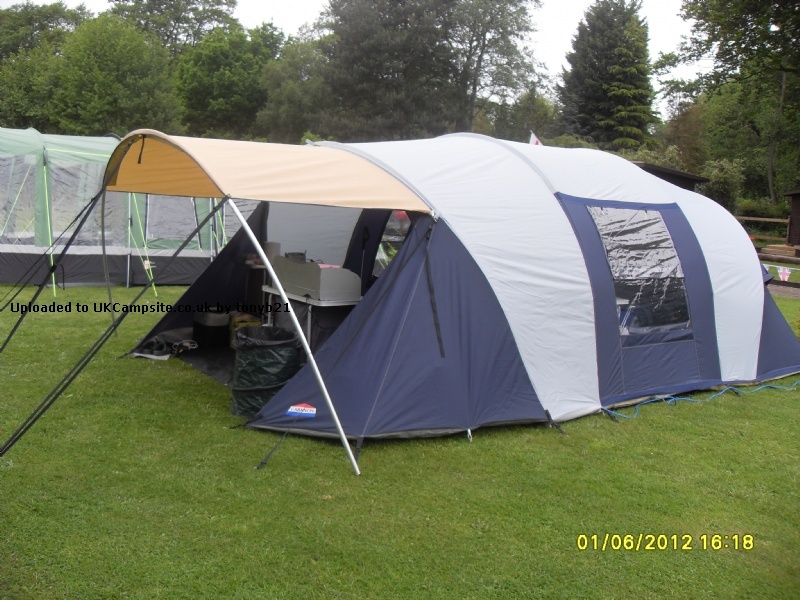 I bought our tent second hand, having done a fair bit of research in to what would suit my back and my growing family (currently one 15 year old and two 11 year olds). I bought the tent about 3 years ago, and we haven't looked back. I love canvas because it's not noisy in the wind and it feels sturdy. We truly rain tested in the Alps this summer (August 2017), where it poured for about 36 hours. I hadn't had it out in that kind of weather before so we emptied the tent of Things That Would Matter Wet, and took them in the van with us for the day. Needn't have bothered! Everything was dry as a bone when we got back late that evening - the sleeping bags got wetter carrying them from the van than if we'd left them in the tent. It's also a beautiful colour canvas (coffee and caramel) and holds the light inside well, as well as keeping out the dawn. We aren't early risers, and it makes a huge difference to parental behaviour when I can wake up slowly sometime after 8. I think the canvas makes it warmer too, so it's very cosy. The living room is big and has space for friends and for yoga. I'm tall, and have a bad back, so one of the reasons for buying this was that I can stand upright in it easily. 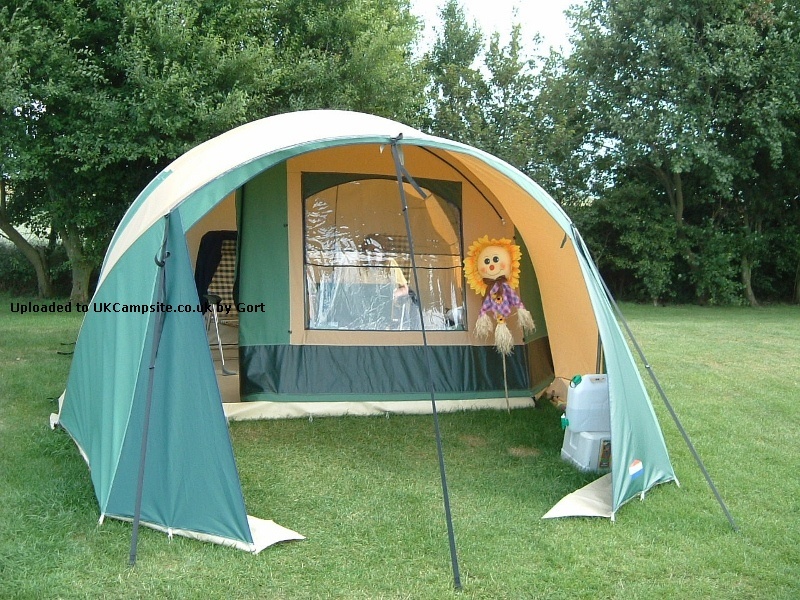 I also love that you can open the entire front of the tent, to let the outside in. The windows are big too and can be unzipped to open outwards when it's hot with just an insect mesh to stop unwanted visitors, but they also have zip up canvas covers on the inside which keeps it warm at night. It is heavy, so if we can't park on the pitch I tend to take a wheelbarrow with me. I'm also going to buy a tent bag for the canvas to make it easier to move around. By the way, I have no idea when this tent was manufactured so I've guessed! Just sold my Biscaya 370 (only to upgrade to a larger Biscaya 500). 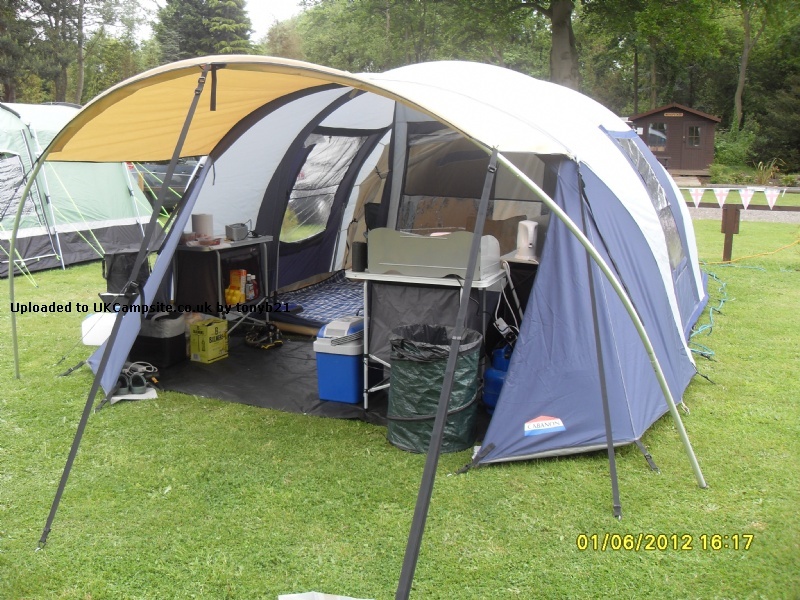 An utterly fantastic tent - easy to set up, looks absolutely fabulous and is impervious to inclement weather. Every aspect of it feels brilliantly designed and oozes quality. I had a version without a kitchen added (have now got the Biscaya 500 cuisine) which was perhaps it's only shortcoming. 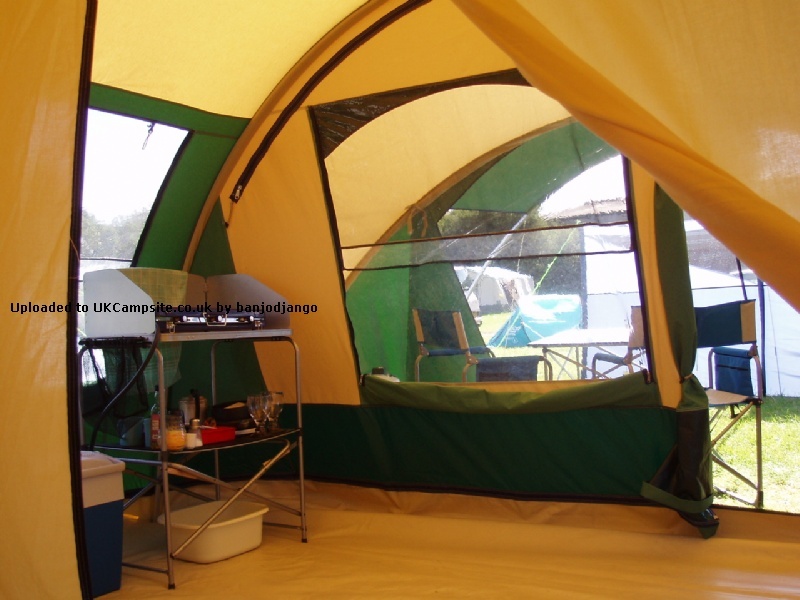 Once a sun canopy is added it also expands the usable area of the tent very nicely without compromising looks or stability. �	The three bags are all different - hessian bag for the poles, canvas bag for the groundsheet and poly mesh bag for the tent itself? Why? Great tent. We bought this tent after viewing the dealers outdoor demo in a thunderstorm - there was no contest, these tents were the only ones that were dry inside! Very simple to put up, a little effort but simple to do. It has just four aluminium semicircle tubes as the frame and these are all the same so easy peasy! Rock solid, they don't need guy ropes! We have been really, really happy with our Biscaya 370. We had it up for 5 consecutive weeks in Pembrokeshire last summer and it withstood gales, rain, hail and even a couple of days of sunshine. 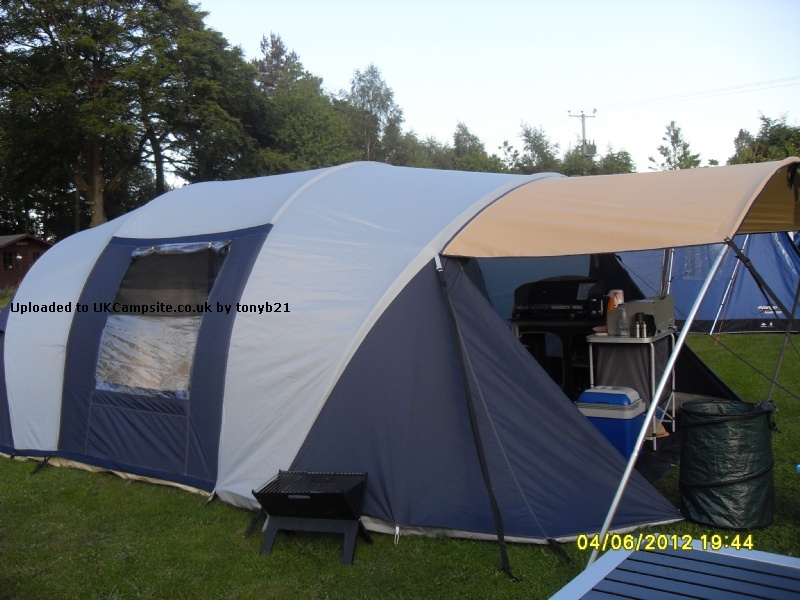 It is so solid that it just doesn't move so when the neighbouring tents are swaying about it just sits there. The only reason I've given it less that 10 is because when we got back I put the groundsheet on the line in the garden to air for a couple of days and it hit the shed roof in the wind and split. I have emailed Cabanon and left an answerphone message for advice on repairs but they have failed to get back to me. So the tent is Ace but the company so far isn't. 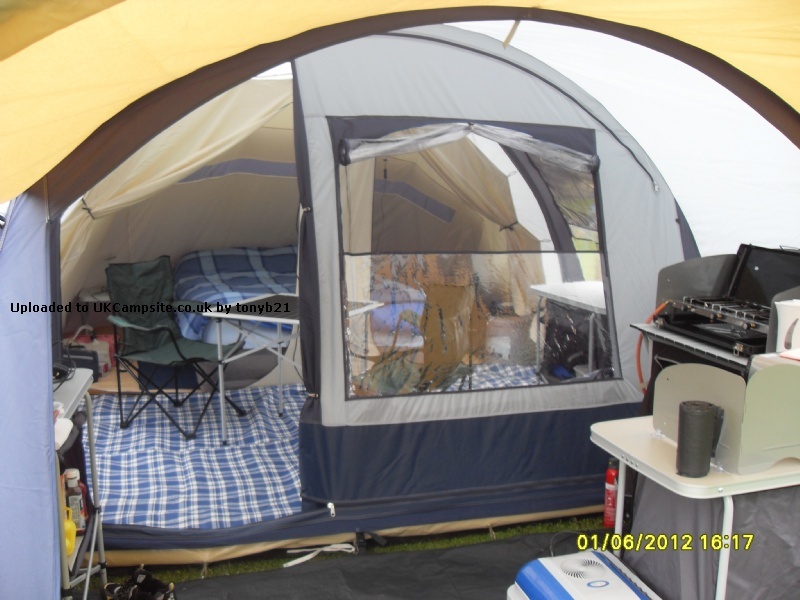 We loved Cabonon tents as we previously owned a frame tent, the Antigua, we sold that when we saw the 370. It took 5 trips to finally buy it, it was the only tent on the field that we were drawn too, it was the most expensive tent too, but we bought it. 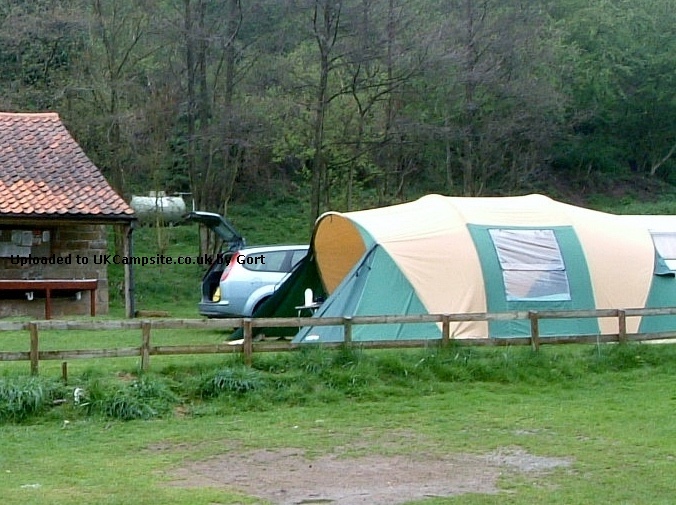 We love it and we wouldn't part with it, its so easy to put up, totally weather proof wind proof, very sturdy and the lightweight poles are easy to lug around. 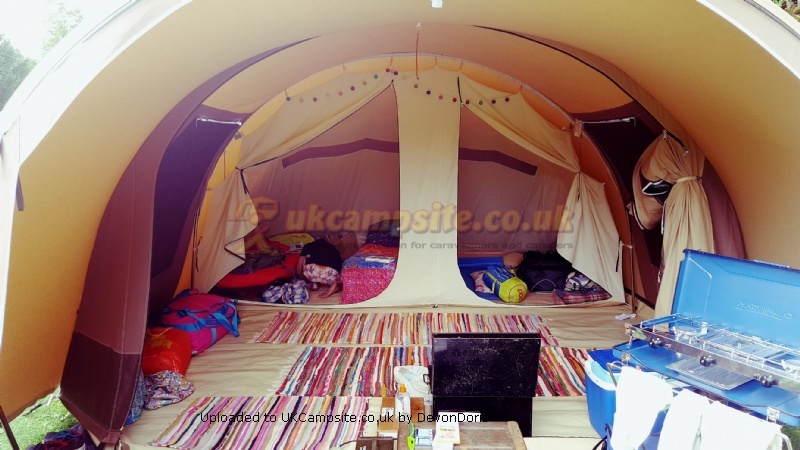 I bought a second hand Biscaya 320 last year and have although I think it's a great tent it has a problem with the rubber eyelets that are used to fasten the inner sleeping area to the floor. 1 eyelet is missing altogether and another is peeling away from the floor. I have just contacted Cabanon in the hope that they will send me another eyelet from their factory which I will glue in place myself. Anyone else had the same problem and if so how was it resolved ? Excellent quality tent for a max of 4 people. Used twice so far stood up to a good soaking by heavy rain. Zip open front great when its hot weather. Owned Cabanon Espace before - this tent is of the same quality.It take 2 persons at least an hour to put up fully pegged out. It is bulky and the storage bags could be improved (handles would help for lifting). However once it is erected plenty of space for storage & to move around. No drafts with the zip up ground sheet. I took advice of the last reviewer and also purchased the sun canopy - keeps the rain off the door in a storm - well worth the money. Good investment for future years. We have used our 370 in all weathers for the last 3.5 years and have never regretted spending the money. 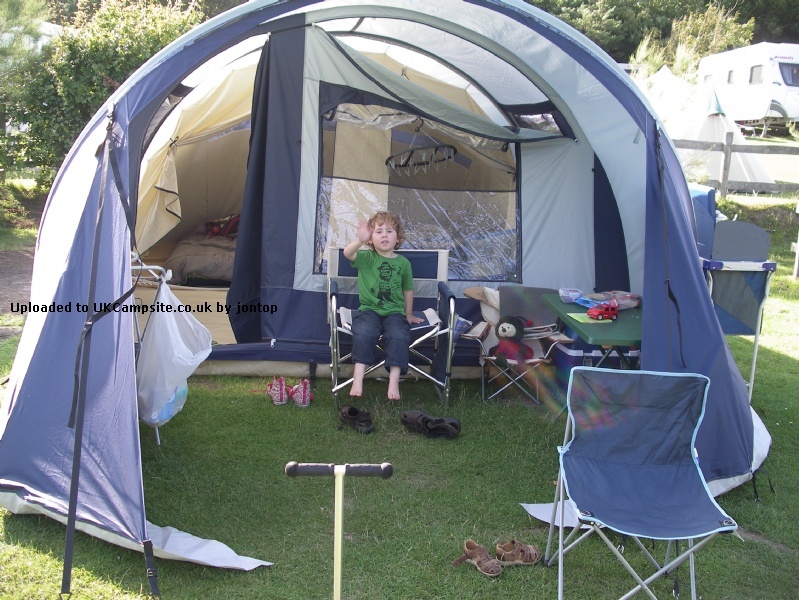 It is by far the best tent we have ever owned and I would recommend it to anyone. A little tip for the pole channel zips, thread a shoe lace through the zip fastener, it makes closing the zip far easier and prevents that horrible canvas burn on finger tips. Having only bought the Biscaya 370 new November 2008, my first pitch has been a test pitch in my garden. 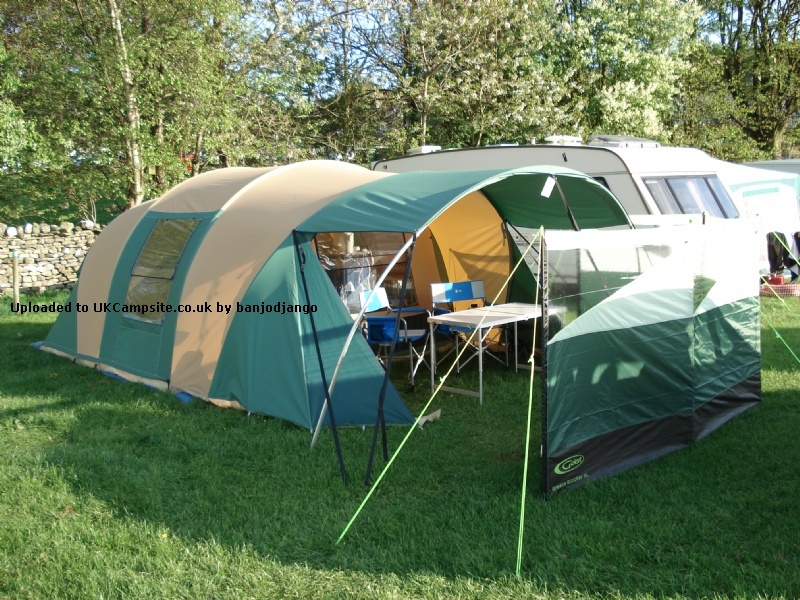 For those looking at the 370 I can say it is a superb tent, one person can pitch, although the help of another would speed things up. The 370 is the only one in the Biscaya range that is available in a choice of three canvas types, Cotton, Polycotton, Polyester, all other Biscaya's are Polycotton (all season polyester) I chose the Cotton Canvas, which is the only model in the entire Biscaya range that comes with Steel poles all other Biscaya's use aluminium poles. The pack size of the 370 is large, but manageable, complete with optional Sun-Canopy mine tips the scales at 57Kg, in three bags. The main canvas comes in a white sack, I have changed this now for the Isabella medium sized awning bag, which makes packing a lot easier. Add your review of the Biscaya 370! Easy and quick to erect in less than 20 minutes ! !